JetSuiteX will also make a donation to Angel Flight West, to help transport patients around the West Coast to treatments at some of the nation's best medical facilities. JetSuiteX recently introduced semi-private flights between Atlantic Aviation, at Reno-Tahoe International Airport, and its own private lounge at Oakland International Airport. Tech mavens and weekend vacationers can now avoid long security lines, cattle-call boarding and baggage claim crowds when they fly between these private terminals, all for a price comparable to (and for a few days better than!) commercial. Tickets can be purchased only at JetSuiteX.com. "JetSuiteX is delighted to help the Reno community experience semi-private travel for such an amazing price, and to help the community in the process," said Alex Wilcox, founder and CEO of JetSuiteX. "For so many of our customers, time is money, and we're proud to help them arrive at their destinations faster and more comfortably than ever before when they travel aboard JetSuiteX. We also are delighted to assist our friends at Angel Flight West in their mission to help get patients to much-needed medical treatment." JetSuiteX enables customers to save more than an hour door-to-door by combining the benefits of the private ground experience – arriving just 15-20 minutes before departure and avoiding lines, waiting, cattle calls and baggage carousels – with the scheduled service, affordable price and by-the-seat booking of commercial air travel. 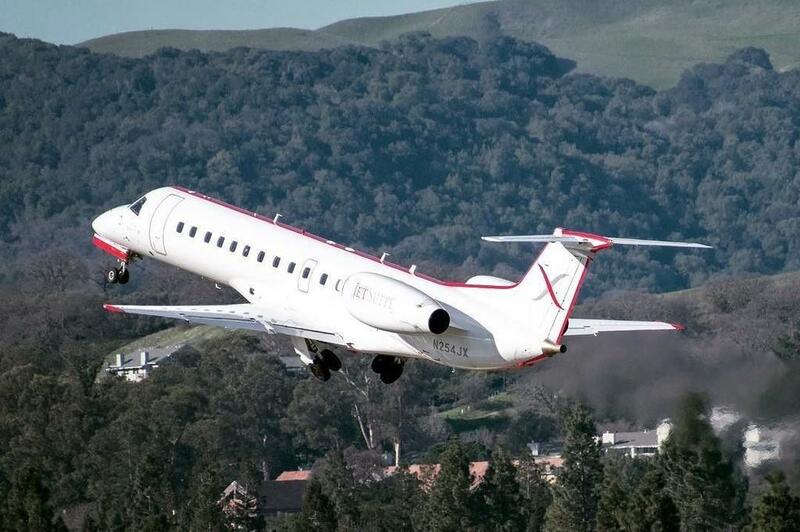 JetSuiteX currently services the rest of the San Francisco Bay and other West Coast destinations, with flights between Concord/East Bay (CCR), Oakland(OAK), Burbank (BUR), Orange County (SNA) and Las Vegas (LAS). The new service will connect Oakland from Reno with daily round-trips every day except Saturday. Up to date schedules can be found at JetSuiteX.com. All-in ticket prices regularly start in the market at $99 each way, including up to two pieces of baggage (up to 50lbs total weight), business class-style leg room and complimentary cocktails and snacks onboard and in the waiting lounge.